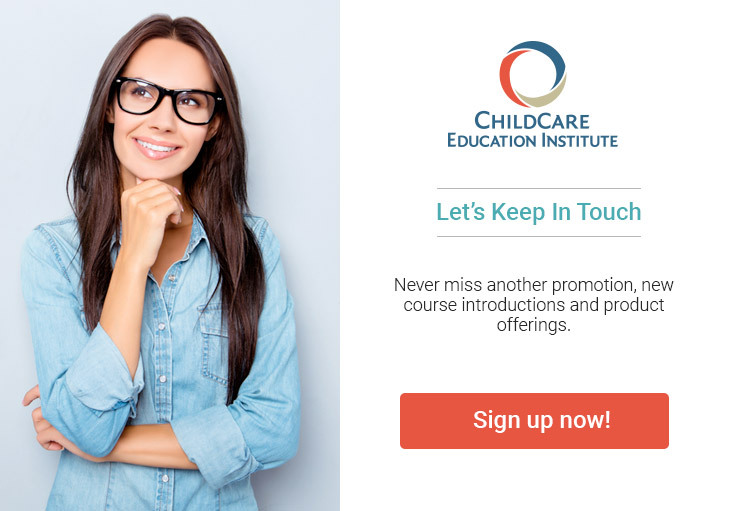 The Early Childhood Credential program offered by ChildCare Education Institute (CCEI) provides 180 hours of professional development for early care professionals. The online training program is comprised of 8 Instructional Units. These units focus on the Principles of Child Growth and Development; Safe and Healthy Environments; Social and Emotional Development; Motor, Language, and Cognitive Development; Principles of Assessment; Program Management; Relationships with Families; and Professionalism. The CCEI Early Childhood Credential is designed to give a basic framework of early childhood educational theory and application of that theory through content based coursework, reading assignments, practical application exercises, essays and classroom observation. CCEI’s Early Childhood Credential is recognized by the National Association for the Education of Young Children (NAEYC) to meet a part of the Alternative Pathways to Achieve Educational Qualifications for the Designated Program Administrator. The Early Childhood Credential program gives students the opportunity to articulate college credit toward an early childhood education degree with one of CCEI’s college credit partners. See the CCEI Articulation Partners page for details. Graduates of the Early Childhood Credential (ECC) will have met all training, portfolio, and observation requirements of the national CDA Credential and only need to complete the Council’s exam at a PearsonVue testing center to finalize the CDA Credential application process. Demonstrate the ability to establish and maintain a safe, healthy learning environment for young children. Must submit proof of 480 clock hours, in the last five (5) years, of working with children in an early childhood care setting. Of the 480 clock-hour requirement, 80 clock hours must be completed while enrolled in the program. Prospective students of the Early Childhood Credential program are strongly encouraged to check with their licensing representatives to determine each program’s applicability toward state requirements.